Frsky X6R Telemetry ReceiverThis receiver features SBUS, Smart Port and RSSI and complements the Tar..
FrSky X4RSB 3/16ch Telemetry ReceiverDescription:Item name: FrSky X4RSB 3/16ch Telemetry ReceiverDim..
FrSky High Precision VariometerThe FrSky High Precision Variometer measures the rate of change of al..
Frsky Smart Port RPM Sensor with 2 Temperature SensorsThe Smart Port Brushles RPM and dual temperatu.. This batch of X8R's are the LBT version so they comply with the new EU regulations, you will need the latest update on your Taranis Transmitter, all Transmitters sold in our shop have the latest version already installed. Frsky have now removed the plastic covering the PCB antenna saving on weight and mass. 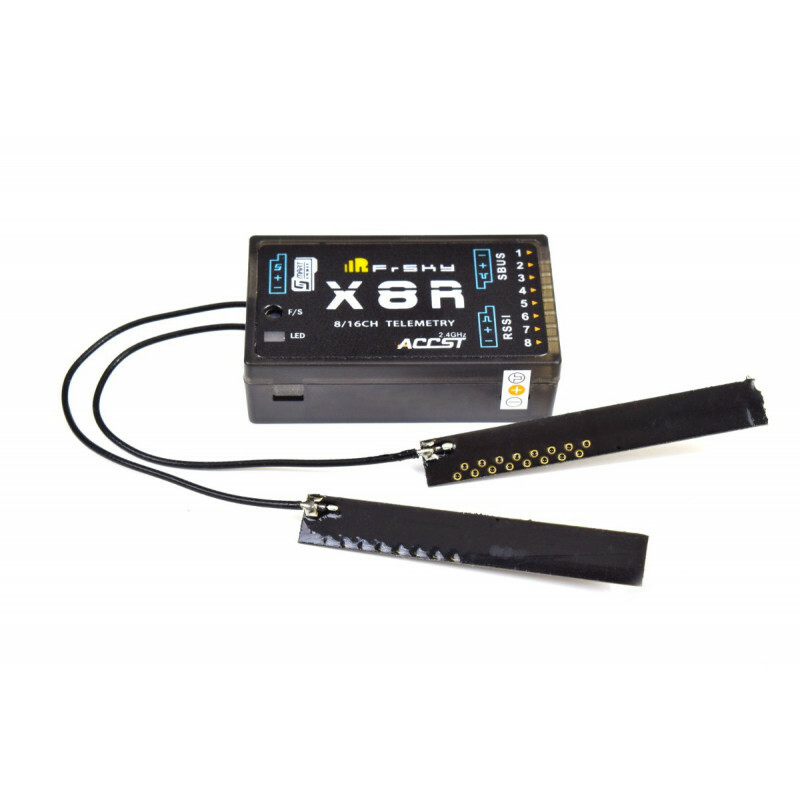 The X8R supports 8 standard servo outputs, and you can access all 16 channels by using the Sbus line with Sbus supported servos or use a FrSky S.BUS Decoder for the full 16 channels. Or you can use 2 X8R receivers in combination and the channels will sync 1-8 on the first and 9-16 on the second. The X8 protocol is also backward compatible! In D8 mode it will work with the DHT, DJT, DFT and DHT-U transmitter modules. In this mode you only have access to 8 channels but you still get to use the new Smart Port and digital sensors! and the new antenna design “PCB” reports up to a 20% gain in range over their older antennas. And the X8R is Firmware Upgradeable! This is the perfect receiver for the FrSky Taranis, with its built in XJT Module or any of the D8 systems to take advantage of the new digital Smart Port sensors. 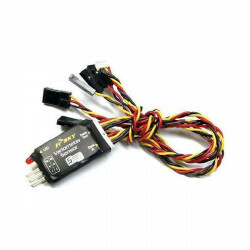 Frsky V8R4-II ReceiverThis Non-Telemetry receiver is compatible with all Frsky modules V8 and D..
Frsky Receiver Antenna 15cm15cm (standard) Aerial for any of the Standard frsky range of receivers (..